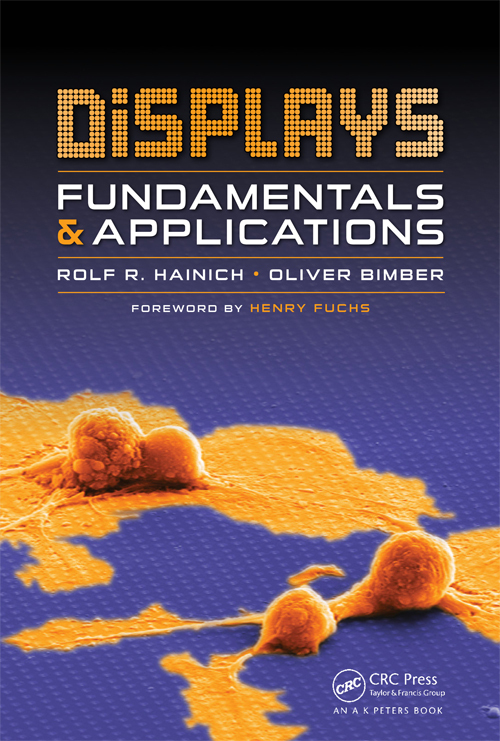 Today’s glasses-free 3D displays ususally consist of dozens of devices, which makes them not only very complex, but also bulky, energy-consuming and costly. 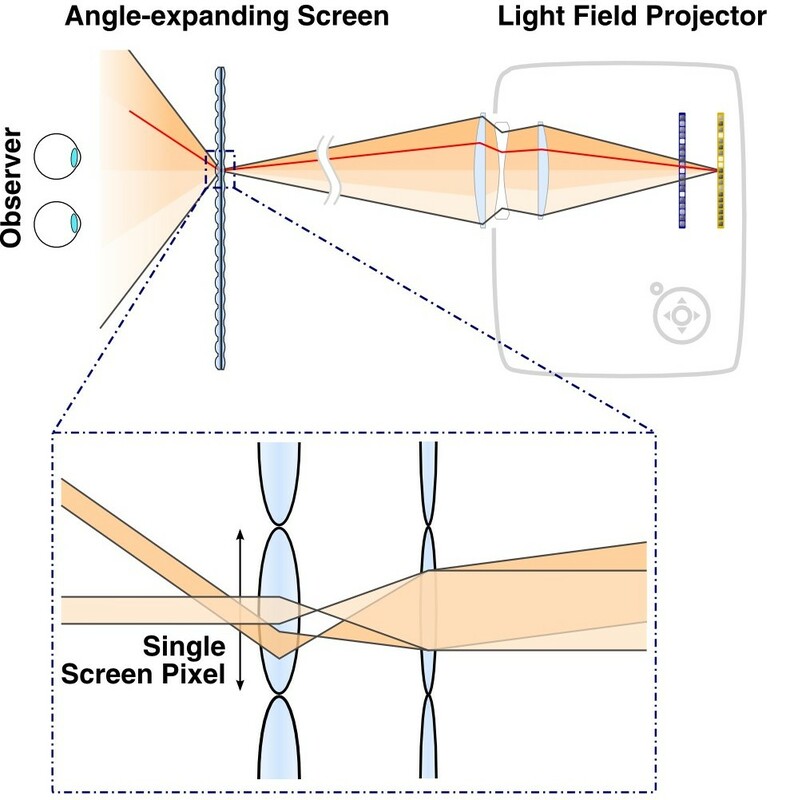 At SIGGRAPH 2014 conference, Gordon Wetzstein and Matthew Hirsch from the MIT’s Camera Culture Group presented a new approach to glasses-free 3D that is based on projectors and optical technology found in Keplerian telescopes. Their novel method for “Compressive Light Field Projection” consists of a single device without mechanically moving parts. Because it’s relatively cheap to build with today’s optics and electronics, the presented prototype could pave the way for cinema-scale glasses-free 3D displays. The field of view produced by light field projectors is generally limited by the projector’s optics. To expand this field of view and allow observers to enjoy glasses-free 3D impressions, the proposed system also comprises a so-called angle-expanding screen (Keplerian angle-expander). The prototype’s angle-expander was constructed from two lenticular sheets with different focal lengths, mounted back-to-back. The described prototype setup (pictured below) produces an impression of depth and parallax which can be obseved without the use of shutter- or polarization glasses – all from just a single device. The current version of the prototype is still limited in image resolution and only works with grayscale images. However, it proves that 3D image projection is possible with a single device that features no moving parts, and its design allows it “to be scaled to significantly larger dimensions”. Overview of prototype light field projection system. 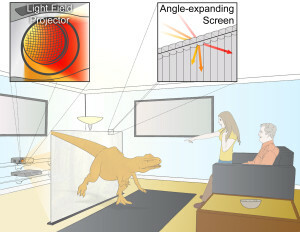 The projector (right) emits a 4D light field with a narrow field of view that only varies over the projection lens (b, Nikkor 35mm f/1.4 AI-s). 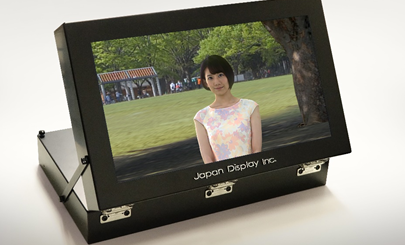 This angular range is expanded by the screen (left) for an observer on the other side. 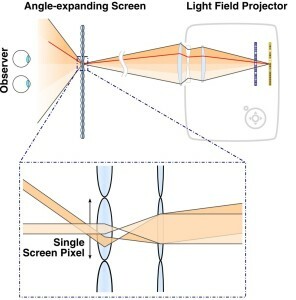 The screen (a) is composed of passive pixels that each expand the angles of all incident light, just like a Keplerian telescope. No special calibration w.r.t. the projector is necessary beyond focusing the latter on the screen. The projector emits a 4D light field, which is synthesized by two reflective spatial light modulators (SLMs, Silicon Micro Display ST1080). Their contribution is optically combined by a 1:1 relay lens (h, 2x Canon EF 50 mm f/1.8 mounted face-to-face). The light source (10W LED) is synchronized to the refresh rate (240 Hz) of the SLMs by a custom board (e). The SLMs use liquid crystal on silicon (LCoS) technology, which requires polarizing beam splitter cubes (c), and are connected to a standard graphics card via a driver board (d).